Excited for spring and summer? We sure are! Pick up the new spring issue of Food & Drink More at the LCBO now. The JTP crew got an extended summer last fall, shooting in and around Ontario for the 2017 Spring/Summer Issue of Canadian Tire’s WOW Guide. We would like to thank the creative team and our dedicated crew of assistants, stylists, and retouchers for all their hard work. Check out all the Behind The Scene shots of us ‘working’ hard. And be sure to pick up your copy of the WOW Guide! Pick up the new Food & Drink More Winter Issue at the LCBO now and try some delicious food recipes to keep you warm this winter! The JTP crew got an early dose of Summer when they headed down to Miami, Florida to work on Canadian Tire’s WOW Guide. We’d like to thank the creative team and our dedicated crew of assistants, stylists, and retouchers for their work on this project. Check out all the Behind The Scenes shots of us “working” hard. And be sure to grab a copy of the WOW Guide for all your Spring and Summer shopping info! Showing our talent some tricks! Speed demon… Getting into the action! Not your typical Miami weather… rainy day on the beach! Delicious and delightful! Check out Best Health Magazine on stands now for some sweet treat baking ideas. 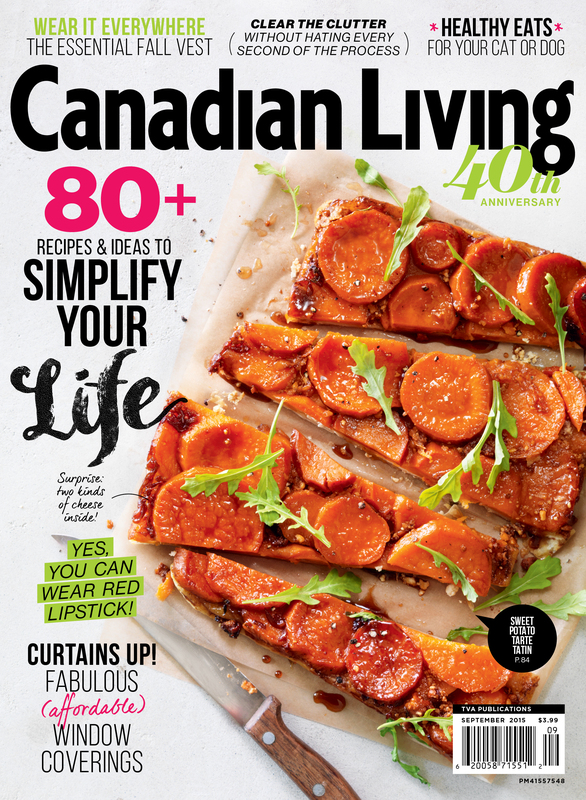 The September cover of Canadian Living has a sweet potato recipe worth sinking your teeth into, as shot by James Tse Photo. On newsstands everywhere now!